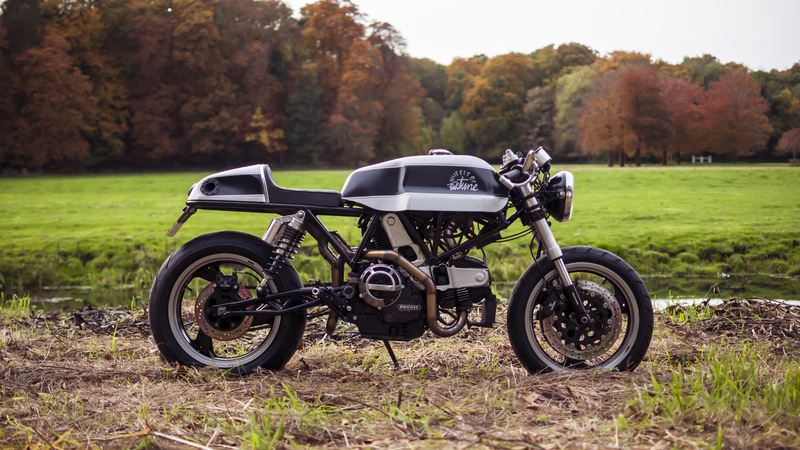 This bike started as an original ducati 900ss. The client had a vision on how the bike should look and already made some photoshops. 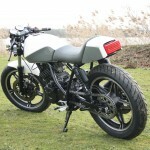 We started a brainstorm session and came up with several ideas to convert the bike into a lean mean café racer. The key words were “weight reduction” and “performance”. A weight reduction was achieved of 35 kg, dry weight of the bike now is 149.5 kg. The geometry was changed to get a more direct steering. The dual shocks were simulated in our suspension setup, which meant that the bike handles much better than original. A custom trellis swing arm was made of chromoly tubing. With a weight of 3.9 kg the steel swingarm is even lighter than the original aluminum one. This swing arm is suitable to mount the dual shocks. 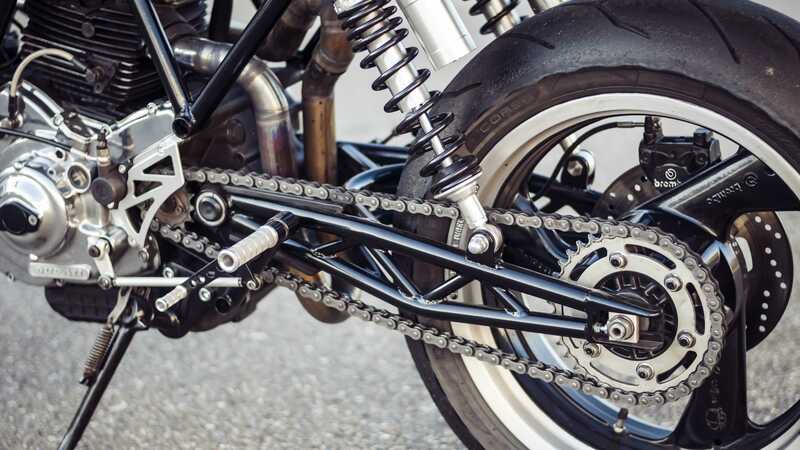 The original frame is chopped and modified to mount the café racer seat and dual shock conversion. To ensure the trellis swingarm is clearly visible a custom exhaust system was made with the muffler hidden in the seat. Looks nice, sounds awesome! To achieve the horizontal café racer line, an aluminum gas tank and seat are hand made. 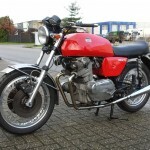 Characteristic for the café racer are the dual shocks in the rear; original the Ducati had a mono shock. 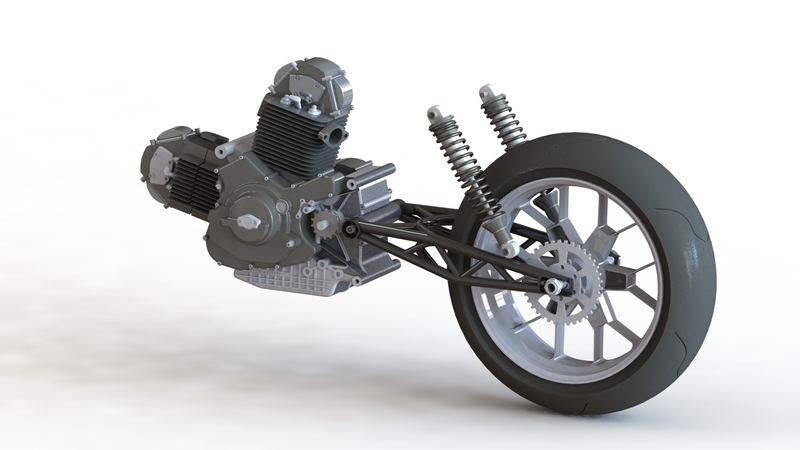 The entire suspension setup is simulated to make sure the bike handles perfectly. Wimoto does not build bikes only for show, they need to be ridden!